Alligator Little Book of Dinosaurs | Multicolour | Take your child to the fascinating world of dinosaurs with this little book of dinosaurs. 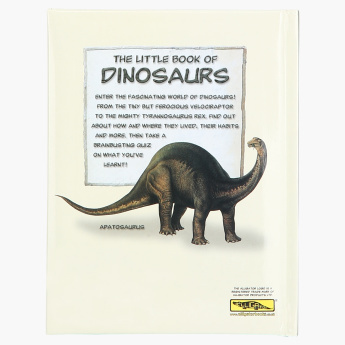 Ideal for your kid, this book has a lot of facts and information about dinosaurs that he can learn from. 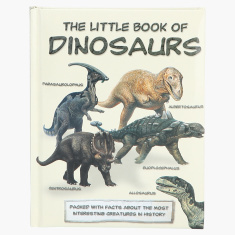 Crafted to widen a kid's imagination, it is a must-have. 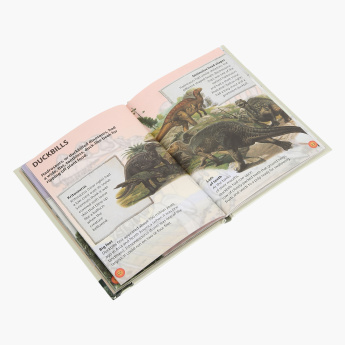 Feature 2 : Packed with amazing facts and information, this book lets your child know a lot of things about dinosaurs, their features, habitat and more. Feature 1 : Take your child to the fascinating world of dinosaurs with this little book of dinosaurs. Feature 3 : It will help to expand the child's knowledge base and increase his imagination skills.